I'm joining Fun in Room 4B and Beyond for her new linky party. Here are a couple of the things I can't live without! I try to make sure I get all the water in that I am supposed to drink each day (I've almost completely given up my beloved Diet Coke with Lime - only have one once in a blue moon) and this Tervis tumbler is helping me do it. It keeps water cold for much longer than other glasses and doesn't have the condensation problem so many other cups do. This one holds 24 oz. Three of these babies and I am good for the day! I follow the style blog Pinterest Told Me To. She featured this sweater she calls a blardigan (a cross between blanket and cardigan). I thought it was a horrendous amount of money, but so many people kept commenting on how much they love it. So I bit the bullet and ordered one when it was on sale. OMG it is so soft! I can tell this will be my go to all winter. (I don't know why it is in the lingerie section. It is perfectly suitable for wearing out of the house. With clothes on underneath, of course.) Click the picture to get to Nordstrom where you can order one of your own. Go visit Fun in Room 4B and Beyond and see what other bloggers can't live without. It might spark some ideas for Christmas gifts! 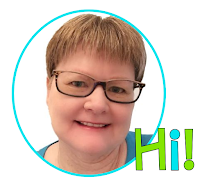 Thanks for linking up, Suzanne! I love a Tervis Tumbler! I can't live without mine, either, and use one every day. I'm checking out that style blog, too! Thanks for sharing. Fun linky! I have about 5 Tervis Tumblers . . . different sizes - tops . . .AH logo, my initial . . . love each one! (Wish I was good about the drinking water thing!) Gonna check out the blardigan. Actually heading out to La Cantera Tuesday. Might need to swing by Nordstrom. Have a great Thanksgiving.